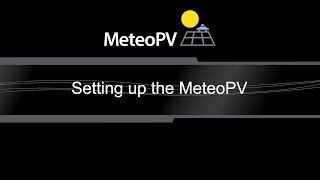 The MeteoPV Solar Resource Platform delivers key photovoltaic (PV) resource data used in PV system analysis and performance assessment. It is the only purpose-built PV resource data platform on the market, and it is ideal for distributed PV monitoring and as a secondary weather station on large solar farms. Built for PV monitoring, the MeteoPV scales to the purpose, size, and complexity of the performance data requirements with industry-standard pyranometers, reference cells, back-of-module temperature sensors, and compact all-weather sensors. 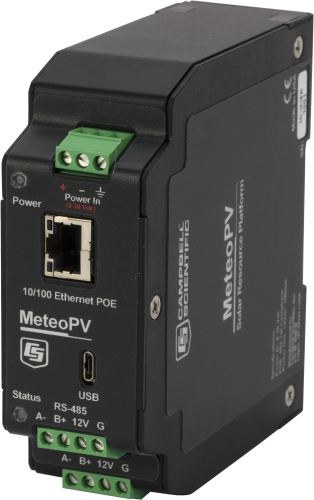 The MeteoPV also acts as a data logger, storing over three months of one-minute and ten-minute average, max, min, and standard deviation data per sensor. For deployment efficiency and error elimination, an onboard, browser-based, easy-to-understand user interface verifies proper sensor operation and SCADA communication. A PDF installation report containing site data, sensor metadata, and configuration data is generated to simplify sensor documentation and traceability.